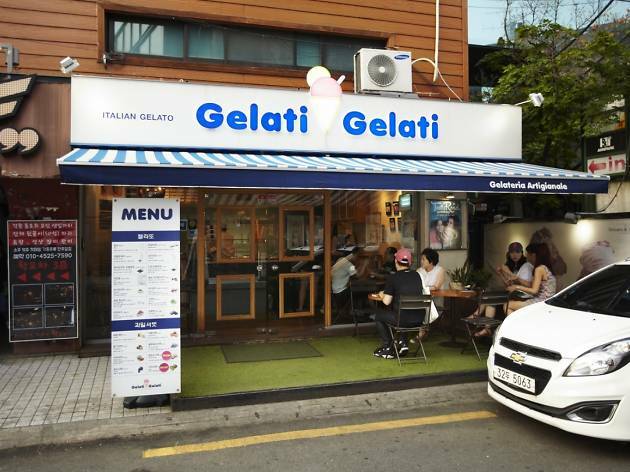 There’s rarely open seating at Gelati Gelati, for good reason—their gelato is the best you’ll find in Hongdae (the owner here also studied gelato-making in Italy). They display more flavors than most and you can pick two flavors for a single (downside: no free samples). We’ll just have to come back to try them all. Pictured: Green tea and mango.